Winter. Snow. Arctic cold. Icy roads. Skiing. Snowshoeing. Sledding. Winter Saisons. 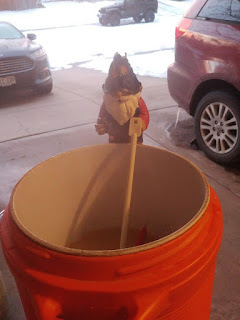 Yes ... Winter is time to brew SheppyBrew's Arctic Vortex Winter Saison. Arctic Vortex was the first of my Seasonal Saisons. I decided to make it a Black Saison because I thought winter is the time when it is darkest longest. 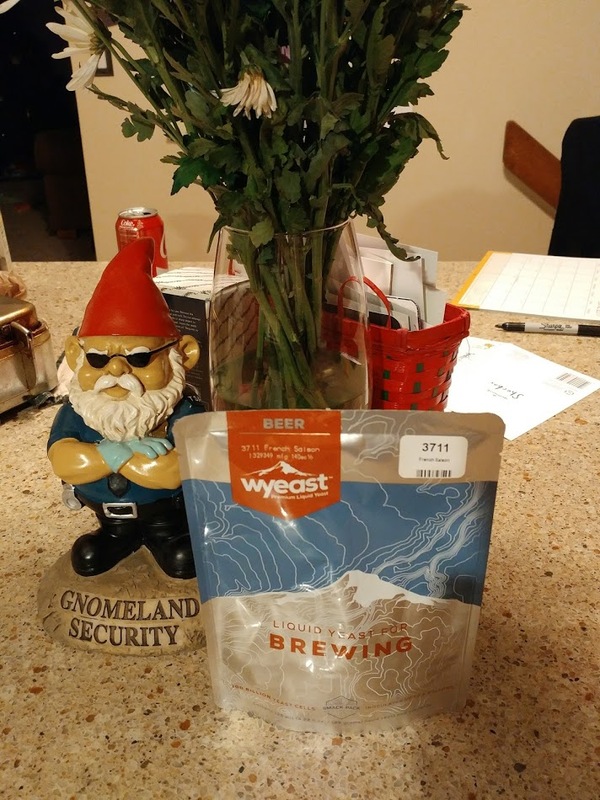 I brewed it Sunday. This is the 4th time I've brewed this beer. For the most part it has stayed pretty much the same. 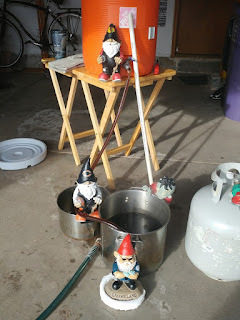 I did include some simple sugars in the malt bill this time to help dry out the beer a little. We'll see what I think when I taste it. 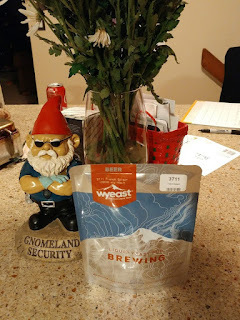 This year, I did go back to WY3711 (aka the Real Super Yeast). The yeast I used last year did work out ok. I just tend to prefer 3711 both in flavor and in performance. 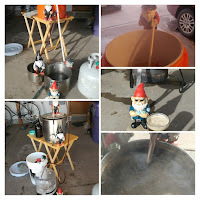 The brew day went exceptionally well. Due to cold weather and snow on my back patio ... 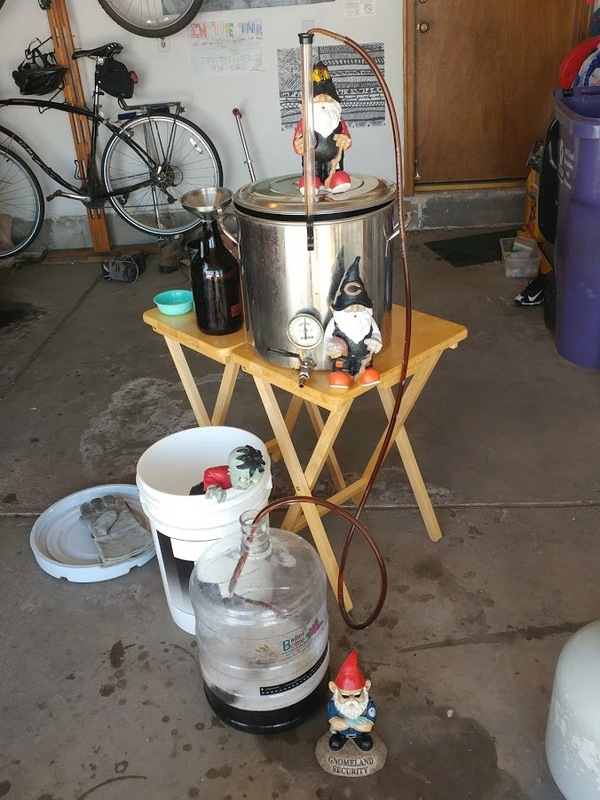 I brewed in the garage, which is different than usual. My mash temperature was a bit low, but I let it go for a few hours while I went to church, so it had plenty of opportunity for conversion. Since I want this beer to finish dry, a low mash temperature is better than a high mash temperature. My pre-boil gravity and volume was perfect. And, my OG ended up right on plan as well. 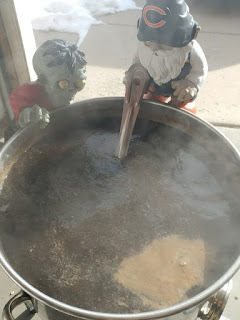 Nothing remarkable happened during the boil. Chilling went nice and quick. I was able to pitch the yeast right at 60, which is exactly where I like to start my ale fermentations. So, I'm letting the Super Yeast do its thing. I'm sure it will turn out awesome. As always, keep an eye on the regular SheppyBrew Channels to see what is happening with this beer (and many others): SheppyBrew's Facebook Page; Sheppy's Twitter Feed;SheppyBrew's Instagram Page; and SheppyBrew's Website. Of course, don't forget to visit this blog often as well!